I’ve been using Google Analytics (GA) for about six years but I wanted to learn more about this powerful tool so I signed up for a Udemy class to help me pass the certification. Even though I’ve been using GA for years, there were features I haven’t been using to their full potential which makes me excited to put into practice. Passing the certification was a great way to kick off my 2019 professional goals! I’ve been using social media in my personal life and career since 2010 and there’s a practice I’ve seen over and over again that irks me – following then swiftly unfollowing to increase follower count. If you have Twitter or Instagram, you probably know what I’m talking about. You get a notification that you have a new follower and you decide to “pay it forward” by following back only to notice that a day or two later, your follow count has actually decreased. What’s up with that? I see it all the time on my personal accounts as well as the ones I manage professionally. It’s unavoidable. After all, you can’t prevent people from following you (or requesting to follow if your account is private) but man does the immediate unfollow annoy me. I got so fed up with it recently that I downloaded an app called FollowCop to see who these sneaky followers/unfollowers were. I connected several accounts and started unfollowing these unfollowers with vengeance, my finger tapping away and my eyes glued to the screen. It was strangely cathartic. The funny thing is though, I didn’t unfollow everyone who had dropped me like recalled romaine into a garbage bin. There were actually some accounts that I genuinely enjoyed their content and decided to keep following. This experience has made me confront how I react to new followers and the type of content I follow. In effect, it’s made me become more mindful. I shouldn’t be following back because it’s the nice thing to do and it’s “only fair,” I should be following back (or following anything in general) because it’s something that adds value to my life whether it’s by making me laugh, think, or feel. Another thing I’ve come to realize is not to take unfollowing personally, in particular, from people I know IRL. I was surprised to see that people that I had gone to school with and certain relatives no longer follow me. I wondered – do they not like me? Did I post something offensive? Was I annoying? But instead of asking myself those questions, I should be asking, why does it matter and why do I care? I no longer keep in contact with those ex-classmates and distant relatives so there isn’t really any point in seeing their photos in my feed. They’re essentially strangers and I shouldn’t be upset because they don’t care to see what’s going on in my life. The only thing I can do is be my authentic self and if that attracts followers, cool! But if it makes others unfollow, go right on ahead. There will be no hard feelings. My takeaway from this experience is to approach social media (and really anything else I consume like food, music, movies, books) with more mindfulness and to reject being a #followback girl in order to win some followers. If I follow you, it’ll be because I like your content – nothing more, nothing less. You ever meet someone who cries for everything? Someone who has so much emotion and so many feelings that it becomes, sort of a little extra and abnormal? Hello, I’m just a little extra and abnormal. My whole life, I’ve been called a crybaby. I’ve been told that my feelings are too much. That I love too hard and that I feel too much. That I’m just a little….. well, extra. I’ve learned to live with that. My brain just puts things together more than they should. I guess my brain cells work much harder than normal. or …you could say heightened by my extra-ness. I’m just a little too …. much. Music is a big part of my life – I listen to it at work, in the car, when I’m working out, cleaning, and cooking. Although the music industry has moved more towards single releases and EPs (extended play record which contains more track than a single but not enough to qualify as an album or LP), there’s something about an album that will hold a special place in my heart. These albums, in particular, are ones that I can listen to over and over again without ever getting tired. What are your favorite albums? I’d love to hear them! Sure, Ernest Hemingway is one of the greatest writers of all time but that doesn’t mean everything he wrote was gold – especially first drafts. Nobody is perfect and neither is writing! Sometimes you just have to power through that hot, steaming pile of…drafts and then edit, rewrite, and repeat. My mom was born in El Salvador, a small country in Central America with lush tropical mountains and fine black sand beaches on the Pacific ocean. She was petite, had long black hair, cinnamon brown skin, and a big, bright smile to match her bubbly personality. She met my father – a blond hair, blue eyed, no-nonsense Marine from Detroit – at the U.S. Embassy where they both worked. A perfect example of opposites attracting. After a couple years of dating, they married in 1979 in the capital of San Salvador and subsequently had my sisters and me here in the States. During the 80s, most of my mom’s immediate family immigrated to the United States. They didn’t want to leave El Salvador but living there had become dangerous (I remember one story when I was a kid that an uncle and his family had to leave because he had a hit placed on him) so they picked up their lives and moved to Homestead, FL where my grandparents, aunts, uncles, and cousins made a new forever home. I don’t know how each family member made their way to the States or what their legal status was/is – growing up, it never occurred to me to ask or wonder what struggles they went through to start a new life in a country where many of them didn’t speak the language. I’m sharing this with you because what’s happening in this country – the xenophobia, extreme rhetoric, and family separations – has shaken me. I wonder sometimes if my family would have been able to leave El Salvador if someone like Trump had been president at the time. Would my cousin have been torn from my aunt as she begged and pleaded in broken English? Would my uncle have lost his sons in the maze of bureaucracy? I shudder to think about it. Immigration is undoubtedly a complex issue and we should protect our borders but it should be approached with compassion and reason – not fear, anger, and violence. I say this not because I’m some sort of Pollyanna…I know not everyone who immigrates to the United States are good people, however, the vast majority of immigrants want the same things we want – to protect our loved ones and provide them with a better life. And yes, it would be ideal if everyone who immigrates to the United States did so through the proper channels but we don’t live in an ideal world. Life is messy; sometimes difficult choices must be made. 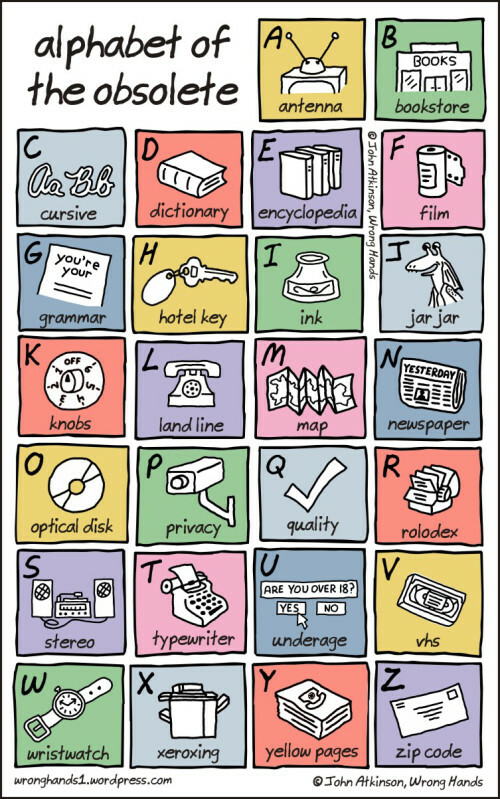 Saw this fun graphic on LinkedIn recently and thought all my word loving peeps would enjoy it too 🙂 Happy Monday!